It looks like Disney's Coronado Springs will be the latest resort to get the new RFID room keys. The new locks do not require you to insert and remove your Key to the World card into the lock to open the door. With the new RFID tags you simply touch your Key to the World card to the lock and the door will unlock. Installation is expected to be completed by the end of September 2012. Epcot is now the second of Walt Disney World's theme parks to officially have free wi-fi for guests. As you might remember Magic Kingdom and Typhoon Lagoon added the service not too long ago. Disney has said that Wi-Fi will ultimately be available in all parks, resorts and at Downtown Disney. .
Looks like Disney is going full steam ahead with getting the entire WDW back in tip top condition. Sir Mickey's is going behind the scrims for an exterior refurbishment and will remain open while the work is being done. The Yachtsman Steakhouse at Disney's Yacht Club Resort will be temporarily closed for a refurbishment from 8/27/2012 to 9/14/2012. Hurricane Hanna's Grill at Disney's Beach Club Resort has closed for a refurbishment through 12/18/2012. Quick service dining will remain available at Disney's Beach Club Marketplace just off the main lobby. And finally, the Magic Carpets of Aladdin is scheduled to be closing for refurbishment on 10/18/2012 until 10/25/2012. 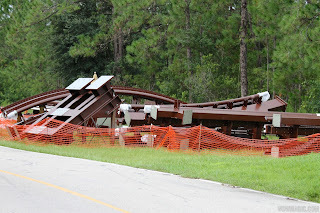 Walt Disney World received a glancing blow from Isaac earlier this week. The 4 major theme parks were unaffected but Blizzard Beach and Winter Summerland were closed due to excessive rainfall. Disney has today released a new rendering giving us a look at how the new Test Track's entrance marquee will look. 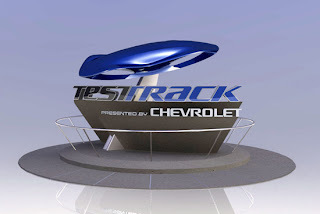 Disney also held a live chat with Imagineer Melissa Jeselnick on what we can expect from Test Track 2.0. Among the highlights will be a somewhat seamless experience from queue to attraction to post show, a new soundtrack, new show scenes and a very futuristic “digital” look. The track layout will remain the same. 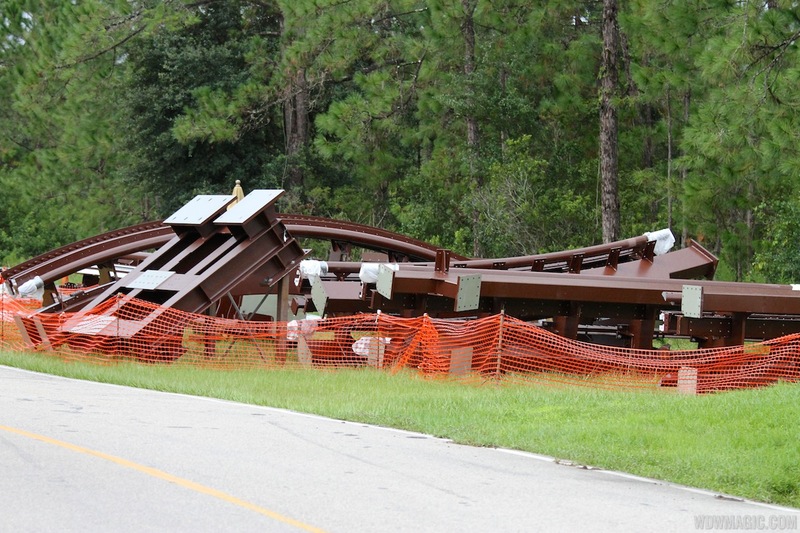 The first few track pieces of 'The Seven Dwarfs Mine Train' are now onsite in the Fantasyland staging area at the old STOL port. During this project, large set pieces have been positioned at this location, and are then taken to Fantasyland for final installation. The Disney Parks Blog has released another video giving us another peek into the new Fantasyland expansion. This time they take us into the Enchanted Tales with Belle. This will be a major upgrade to the current story time with Belle complete with an animatronic Madame Wardrobe and Lumiere. My feeble writing skills can not do it justice so make sure to watch the attached video. I normally try to stick to the facts and stay away from rumors but this one is just too big not to report. Very good sources at WDWMagic are reporting that the recent blockbuster addition to Disney’s California Adventure, Cars Land will be making its way to Disney’s Hollywood Studios. Current speculation has it going where Lights Motors Action is currently located. It is not clear if this addition will simply be the Radiator Springs Racers attraction, all of Cars Land or something in between. Either way if this does come to fruition it will be a much needed addition to Disney's Hollywood Studios. Like I said before, this is a rumor, don’t start planning a trip for the grand opening just yet.